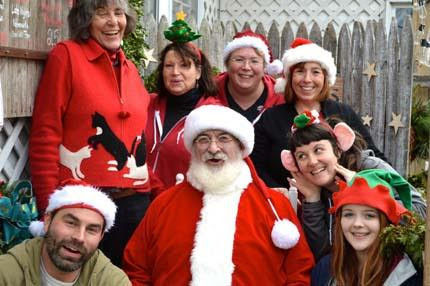 Santa and the Natureworks elves had fun last weekend! 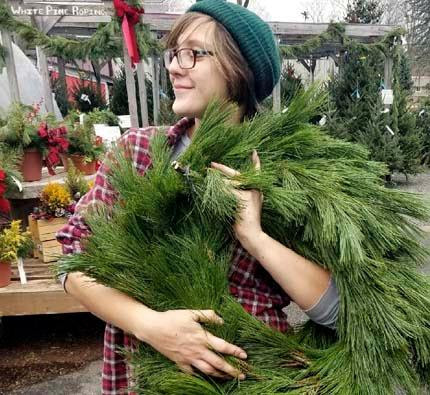 get ready for this annual event, harvesting and bunching greens, making roping, designing wreaths and arrangements, creating an entire wall of terrariums, even baking cookies. We were tired but very happy on Sunday at 4 pm when we finally put the chain across the parking lot. Yet, we woke up Monday morning and started all over again. 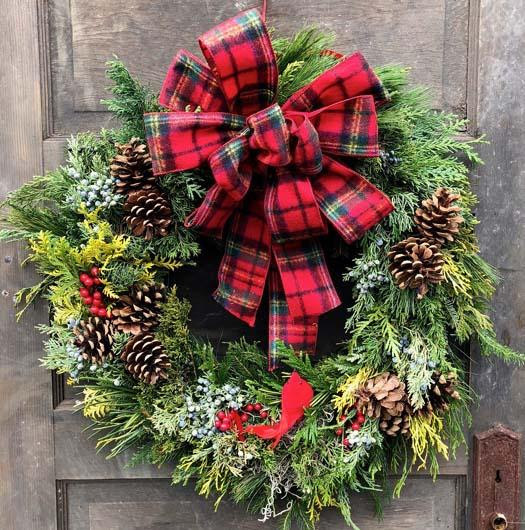 This is the week that tons of custom orders are due for wreaths and grave pillows, traditions that are repeated year after year. We have to make TONS more wreaths and lots more roping- our handmade items are flying out of here. Our Facebook Live post last Thursday where Kassie and I showed how we make our own roping and use it for decorating caused us to sell out on roping over the weekend. We will continue to make it every day, but if you need a special length or a mix of certain greens, please call in advance and place an order. Kassie proudly shows off her lush, full, fresh handmade roping. This week my crews are out on the road again, harvesting tons and tons of greens. I also will be filling my car every morning before I drive to work. The scene behind the fence is a hubbub of activity- cutting, bunching, dipping, and restocking our greens bins. We have dozens of kinds of different greens- hemlock, lacebark pine, native cedar, golden Chamaecyparis, blue atlas cedar, Port Oroford cedar, ‘Naylor’s Blue’ cypress, various spruces, white pine, blue berried junipers of various types, ‘Green Giant’ and American arborvitae… and more each day. It is fun to watch people fill their wagons with greens and berries that they will use to stud their porch pots or make swags. 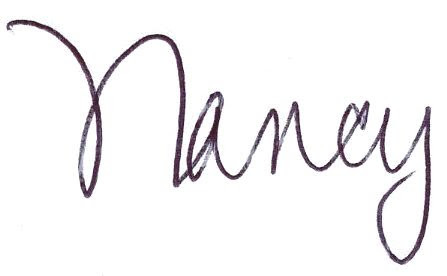 We are hearing that our videos are inspiring many of you to get quite creative this year! Our bins of fresh cut and bunched greens are restocked every day. Such diversity of texture and form! 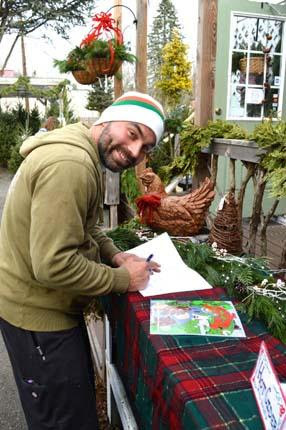 This Sunday, December 10th from 1-2 pm, we are SO EXCITED to host a book signing for “The Adventures of Woody and Chuck”, a children’s book written by our very own Jaime Vestergaard who runs our installation crew and illustrated by his best friend Juan Goglia (who worked on the crew for many years). We adore this book and know you will too. If you have any children on your list this year, or if you are looking for a great gift to donate to a toy drive, take home a few signed copies of The Adventures of Woody and Chuck. They are already working on their second book. You can be sure they find tons of inspiration working in their own organic gardens and those of our clients! 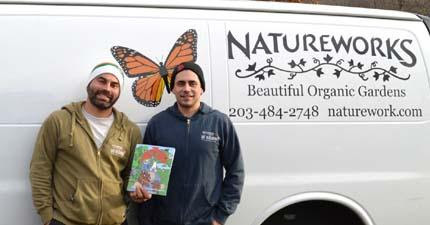 This Sunday from 1-2 Jaime and Juan will be signing copies of their new children’s book! We are so proud of them! 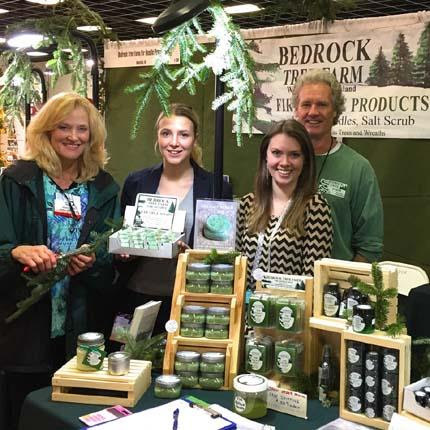 candles from Bedrock Tree Farm in Rhode Island. They are made from the needles of the trees at their own tree farm. Most people walk into Natureworks and say “it smells so good in here!” Yup, you are smelling the REAL DEAL, the scent of all the various fresh greens we are using in our creations, inside and out. But once you get home, if you want to capture that evergreen magic, these candles will do the trick! This Thursday at 4 pm, tune in for another episode of Facebook Live. This week I am calling it “Something Different”. 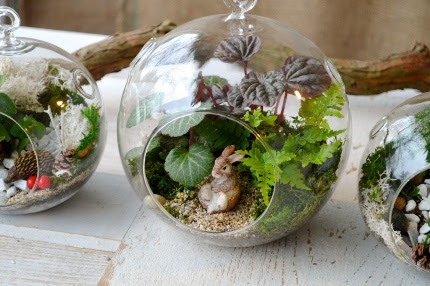 I will be showing you many different creative projects such as how to make a swag, creating a mantle spray, and perhaps a living garden basket. You never know what unusual stems, greens, and other materials we will explore. If you miss the live video, don’t worry. They are all archived on the Natureworks Facebook Page. December 13 – 20 is Hanukkah, The Holiday of Lights — celebrating the miracle of a little oil that lasted eight days, and continues to illuminate our lives to this day. A fragrant Stephanotis plants, embellished with blue French ribbon, would make a lovely gift, as would our Mole Hollow dripless candles. 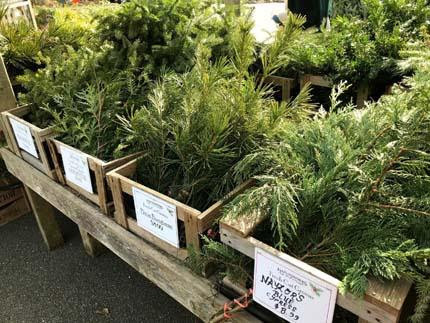 Whether it’s a beautiful wreath, a CT grown Fraser fir Christmas tree, tiny tabletop arrangements for your friends and co-workers, Natureworks can help you enjoy your shopping and purchase thoughtful gifts. Remember, we are open every day thru 5 pm on December 23rd. Thursday evenings we are open until 7 pm, an enchanting and quiet time to shop, sip a glass of wine, and relax after work.